The 2013 All-Ireland winning manager calls time on Banner job. Davy Fitzgerald's spell as Clare manager has come to an end. DAVY FITZGERALD’S TIME in charge of the Clare senior hurlers has come to an end tonight. The Banner manager’s departure was confirmed in an official statement and was expected after strong speculation over his position in recent days. The Sixmilebridge native has been at the helm in Clare since 2012. He guided the county to a terrific All-Ireland senior hurling title in 2013 when they defeated Cork after a replay. “One of the greatest privileges of my life has been to manage the Clare senior hurling team and I am immensely proud of the success achieved during my time at the helm,” Fitzgerald said in a statement. “After this year’s All-Ireland quarter-final defeat to Galway, I was undecided about my future and I indicated as much to the players in the dressing-room post-match. “In the weeks that followed, I asked the joint-captains to ascertain the opinions of the wider panel on whether they would like a change of voice. This season, Fitzgerald steered his side to another major replay success this time in the National hurling league final against Waterford. But in recent years since that Liam MacCarthy Cup win, Clare have struggled to make an impact in the championship. They lost out in the qualifiers against Wexford in 2014 after a replay and against Cork in 2015. This year they did manage to reach the All-Ireland quarter-final stage but were knocked out by Galway. And in addition the county’s miserable Munster senior hurling record has continued with no final appearance now stretching back to 2008. “I will cherish the memory of seeing so many happy Clare faces when in 2013 we won what was only the county’s fourth All-Ireland title and again in Thurles last May when we were crowned National League champions for the first time in 38 years,” Fitzgerald’s statement continued. “The Clare players were heroes on both days and it is my belief they will lift Liam MacCarthy again in the near future. Email “'I'm immensely proud of the success achieved during my time' - Davy Fitz steps down as Clare manager”. 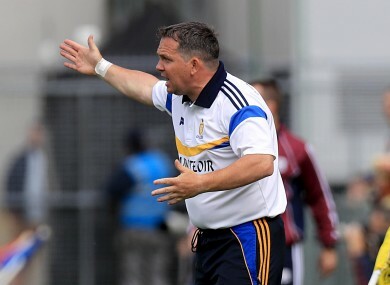 Feedback on “'I'm immensely proud of the success achieved during my time' - Davy Fitz steps down as Clare manager”.